Small class sizes with great teacher/choreographers! 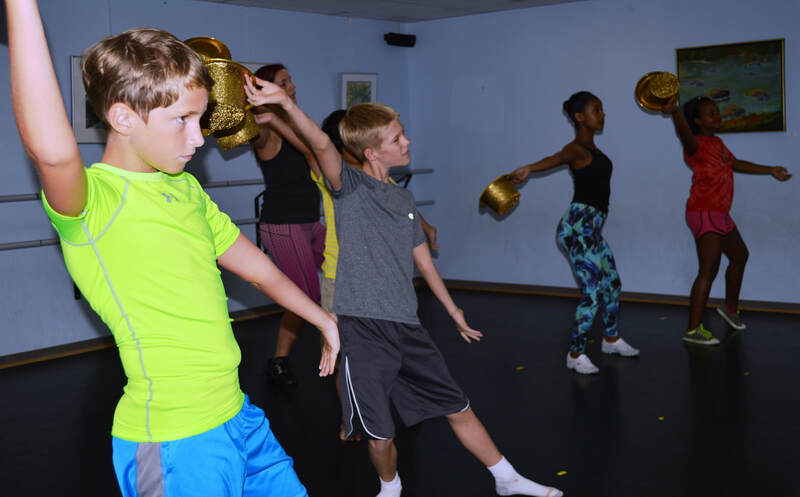 Each dancer gets plenty of individual attention and each class has choreography specifically created to suit your child's needs. The classes are engaging, fun and supportive; the perfect place to make lifelong friends. Don't miss our recitals on stage at the end of each session. You will be amazed by our Broadway performance and your child's starring role! Designed specifically for 3 and 4 year olds, our Creative Movement Class is perfect for the very young dancer. Kids and parents will feel the fun, imagination and excitement. That’s great! But, we are providing much more. This is the age to build motor skills, body awareness, balance, posture, strength and flexibility that will go into all their future dances. Children explore the basics of ballet, tap and jazz in a form tailored just for them. They also get to prepare a specially choreographed Broadway Dance. Their first dance routine! You and your child will be amazed at what can happen very quickly. At this age, kids have the physical awareness and control to dive into complex Broadway routines. We adapt and tailor the choreography for each student, playing to strengths and supporting areas in wich they need a little more help. The result is strength, flexibility, control and confidence. And, of course, great Broadway routines to put on stage at the end of each session. Does your child love to dance around the house and sing in front of the mirror? Then this is the perfect opportunity for your budding dancer. Kids in these age groups can start to handle more complex dance routines. Of course we hit the fundamentals of strength and flexibility through short ballet barre work and fun activities. But then, let's dance! 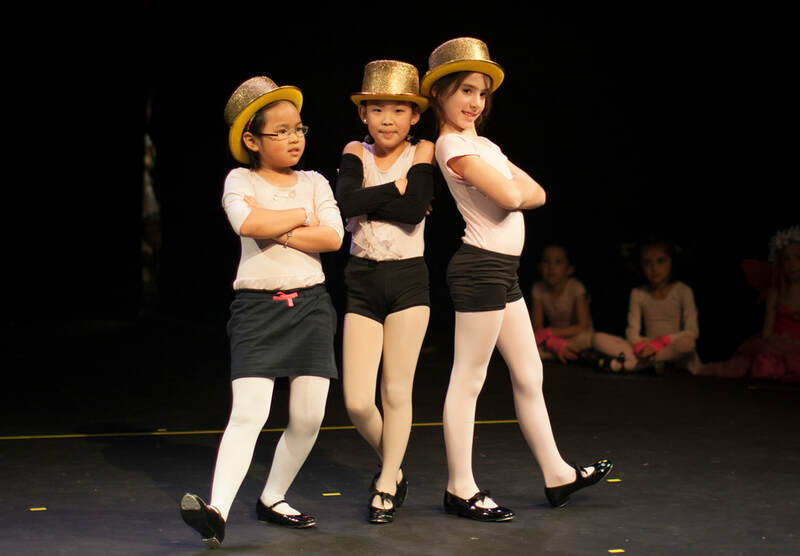 Kids this age love learning, perfecting and performing on stage their own Broadway style dance numbers, choreographed specifically for them by our master teachers. Why wait until the end of the year? At the Academy, we put our dancers on stage at the end of each session. This is a great opportunity for kids and their classmates to show parents and friends what they've learned and what they can do. 50 - 75 supportive audience members can really build young dancer's confidence. All recitals are free and open to the public. There is no recital fee for parents and costume suggestions are very inexpensive. No hassles! Just fun, excitement and great Broadway dancing, live on stage! No streets shoes in the dance studio. Hair must be securely off face. No dangling jewelry. *Dance accessories such as leg warmers, skirts, and sweaters are allowed, but must be dancewear. No sweat pants, sports jackets, or general clothing allowed. 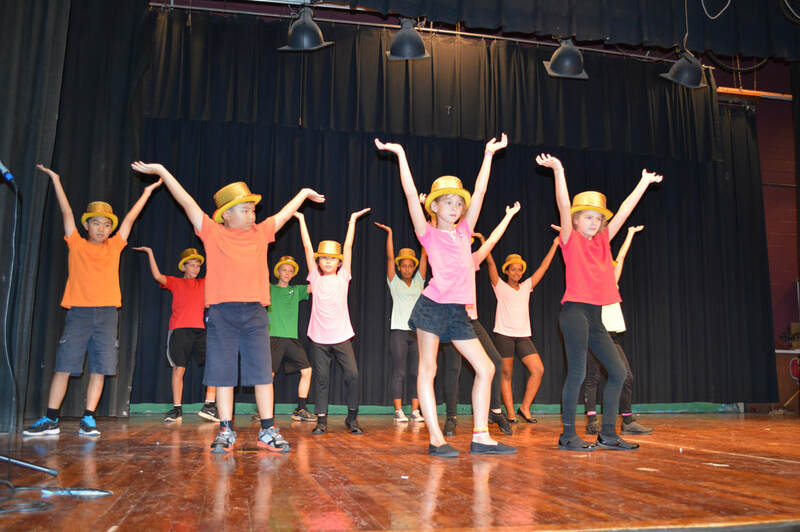 For younger students, it is recommended dance attire and shoes be purchased at Target or Payless as prices tend to be lower and little feet grow fast. For older students, it is recommended to be fitted at a dance store to ensure the appropriate sizing and shoes are supportive and comfortable. Footlights in Frederick, Maryland – great for pointe shoe fittings! For the recital, all students will be required to purchase additional dance attire/accessories. We do our best to choose affordable items that can easily be ordered online and worn again for dance/pleasure.